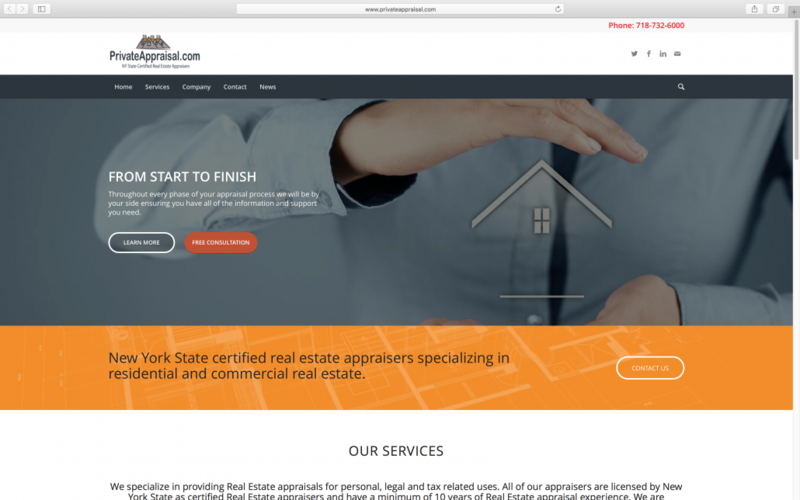 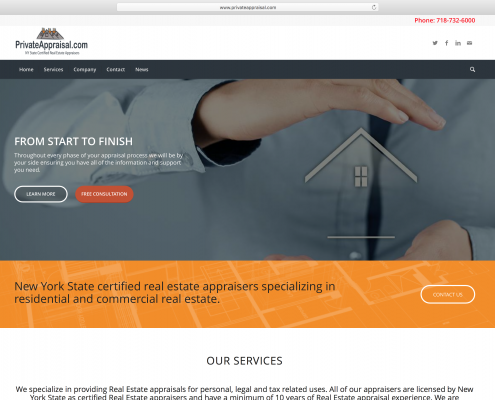 PrivateAppraisal.com is the new home for a real estate certified appraisal company based in New York City. 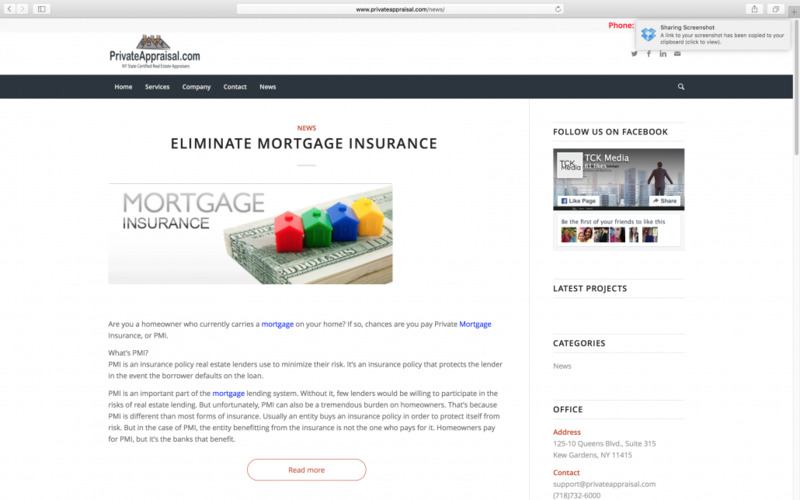 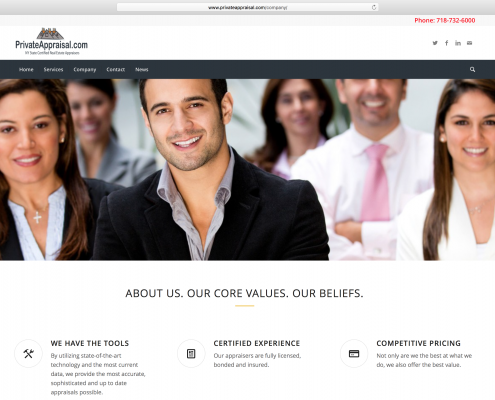 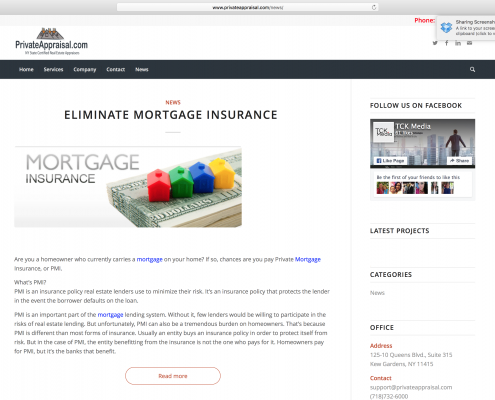 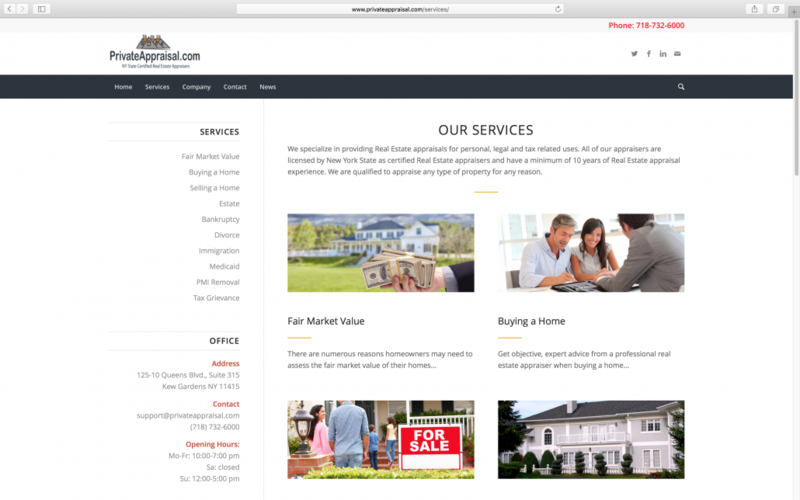 TCK Media built a professional website for the business powered by WordPress CMS. 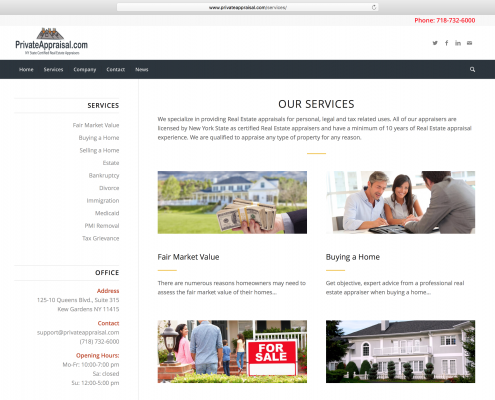 The site clearly depicts and explains all the appraisal services offered and highlights the benefits of the company. 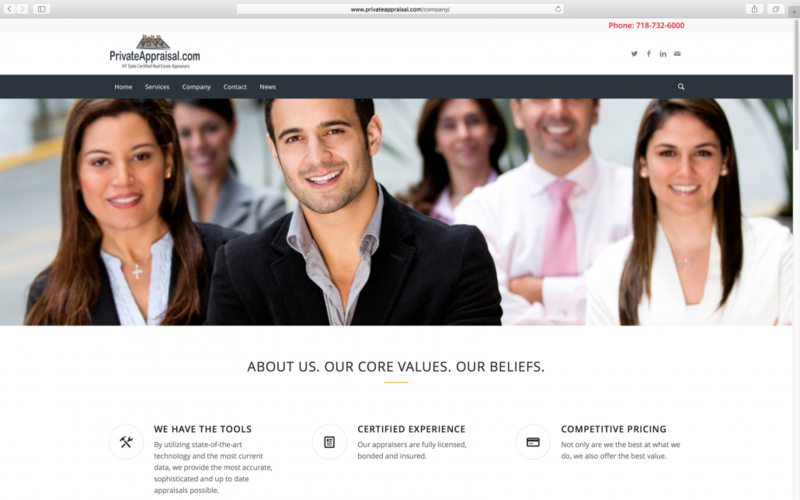 TCK Media is a B2B Web technology and content marketing agency that develops unique online business services & content-driven Web properties.